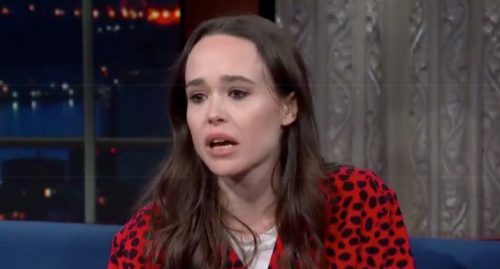 Out actress Ellen Page’s appearance on The Late Show with Stephen Colbert has gone viral for her impassioned takedown of the Trump administration’s assault on LGBTQ rights. The video is currently trending on Twitter as viewers react to her emotional and visceral comments about President Donald Trump and, especially, Vice President Mike Pence. And then the audience erupted. Watch below, but keep some Kleenex handy. You’re going to need them.